There might come a time in life when you’re the recipient of an inheritance. Whether it came from a distant relative or a close loved one, inheritances come in all shapes and sizes. Button collections, buildings, billions of dollars – it doesn’t matter. If it’s left behind, it can be left to someone. Let’s go over a couple definitions before we move on. First, what gets left behind when a person passes away? From the most basic of legal perspectives, there are a few things. First is property. Generally, property consists of earthly possessions. If you can hold it and it’s yours, it’s property. What kind of property do you have? Take a second to think about it. Everything you own, everything you wear ­– everything under your roof is your property. And when you pass away, all that stuff will still be considered yours until arrangements are made to do something with it all. You might notice that I didn’t name cars or homes. Aren’t those possessions? The short answer is, it depends. If your car is paid off, then yes, it’s yours. You own it. Until it’s paid off, technically the bank or a lending institution owns it. The same is true for your home. If you’ve paid off your home, you own it. Until then – until you pay it off in full – your lending institution owns that too. When a person passes away, everything they own and all their debt (think house, car, credit card) becomes part of what’s called an estate. Basically, the estate is the legal entity where all possessions and debt are kept until arrangements can be made ready for disbursement or collection. A person’s debtors (think credit cards and medical institutions) get to make their claims against the estate first. What’s left is what’s distributed to family and other loved ones. So what are we talking about when we’re talking inheritance? Let’s just say it’s all the earthly possessions (accounts and things) that a person had at the time of their death that now need to move into someone else’s care. The way that happens is through a will and probate. When your loved one leaves behind a will, they can specify what and how much of their possessions go to whom. The deceased can choose to leave everything to their family members or to their pet dog Fifi. It doesn’t matter. Since the will was written in advance of their death, it’s a capture of their intent. 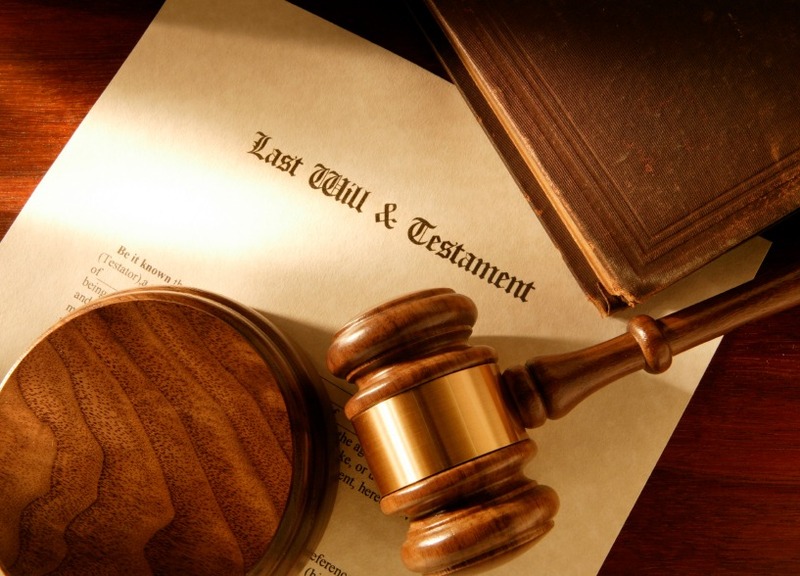 When the will is executed, it enters into probate, which is the first step of carrying out the wishes of the deceased. A probate court decides whether the will in question is valid, and approves its execution. The person carrying out the will of the will (see what I did there?) is called an executor. He or she can either be named in the will or appointed by the probate court. Finally, everything is split up in accordance with the will. That is, unless it’s contested. That can of worms is opened when people disagree with the way the will is either executed or written up. Courts get involved, families sometimes fight – it can be a big mess. I wrote about dealing with estates, inheritance and family conflict in a previous post. If a contested will rears its ugly head, be sure to give it a quick read. So what if there’s no will? I wrote an article about that too. It’s worth a read, but the short of it is, stay informed, stay friendly and consider the greater harmony within your family for a smoother experience. As with most things in life and death, nothing is ever simple. Inherited money is no exception. There are a few different ways money can come to you as an inheritance. The first is cash. When all debts are settled (credit cards, mortgages, car payments), whatever cash is left in the estate is what’s distributed – whether it’s in accordance to the will (extra dog treats for Fifi) or distributed among the next of kin. The second is a life insurance payout. Life insurance is paid out tax free in a lump sum. Some accounts don’t transfer the money directly to you. Instead, the insurer will open an interest-bearing account in your name and send you a checkbook that you can use as you would a checking account. The interest in these accounts is pretty small, and there are ways to manage those funds so they earn more interest while keeping that money just as accessible. Consider closing out the account set up by the insurer and finding more lucrative ways manage that cash. Let’s say you’re the recipient of a cash inheritance. What do you do with it? In broad terms, you can go a few different ways. It’s your money now. So if you want to buy a mountain of ice cream and eat your way through it, it’s your prerogative. I’m sure that’s not what your great aunt wanted you to do with her life savings, but hey, they’re yours now. The first big question people have when inheriting money concerns taxes. The good news is that the Joint Committee on Taxation estimates that 99.8% of all estates will owe no estate tax in 2015. So unless you’re receiving an astronomically large inheritance, $5.43 million for example, Uncle Sam isn’t able to touch it. If you inherit $35, you get $35 free and clear. It’s not assessed as income and therefore outside of the jurisdiction of the IRS. Still have questions about estate taxes? The IRS has an FAQ section where you can get plenty of answers. Don’t be afraid to talk to a tax advisor, accountant or estate planner either. Most times, your initial conversation with them is on the house. They’re happy to inform you on the implications of any financial move you’re going to make. A quick bit of advice when inheriting cash: Outline your goals. Make a list of short-, mid- and long-term goals. If you’re able, split your inheritance among those three timeframes based on the priorities of those goals. If your number one priority is to buy a new car, and retiring at 45 is a close second, carefully consider the way in which you split your inheritance. When a loved one leaves money behind, what better way to ensure it will be used to the best of its ability than to help it grow? Whether it’s an easily accessible brokerage account or an Individual Retirement Account (IRA), your money can work for you. It can even make more money. With an IRA, regardless of whether it’s a traditional or a Roth, you’re giving up the immediacy of being able to use your inheritance. You’re not going to cash out your IRA to go to Disney World without paying a steep tax penalty. The stability that comes with an IRA comes at the expense of accessibility of funds. This could arguably be called investing, but you can always use your inheritance to make upgrades to your home. Granite countertops, a fence around the yard – it doesn’t matter what you choose. Once again, it’s your money. The potential upside of using your inheritance is the potential to make the money back should you ever sell your house. I say potential because there are no guarantees that you’ll ever make your money back when you sell. Just ask anyone who finished their basement in 2006 and sold their home in 2009. The cost of finishing your basement should ideally be reflected in the asking price of your home. And if you sell your home for more than the cost of the upgrade plus the cost of the home itself, you’ve made the money back and then some. You might think it’s crazy to even consider, but charitable giving offers some benefits to you as well as your charity of choice. If you give to a recognized charitable organization, you can deduct the amount you gave from your taxes. If you’re on the bubble between two tax brackets and you’re a hair’s breadth away from having to owe and receiving a few extra bucks at the end of the year, that charitable contribution can make all the difference in the world. After all, your inheritance is money you didn’t have before Aunt Nettie passed away, so how can you miss what you didn’t have a week ago? Your charity of choice gets a chance to offer more services, you get to give to a charity you believe in, and above all, Aunt Nettie would be proud. Everyone wins. What if You Inherit Retirement Accounts? Inheriting a retirement account is quite a bit different than inheriting cash. First, there are restrictions based on the type of account. Accounts like 403(b)s, 401(k)s and IRAs are managed much differently than cash. No matter what kind of retirement account it is, it will be taxed. Whether your loved one paid taxes at the time of investment, like a Roth IRA, or the taxes were deferred, like a traditional IRA, Uncle Sam will get his share. The other factor that determines how your loved one’s IRA is distributed is whether or not the deceased is your spouse. If you are the spouse of the IRA holder, you can roll their IRA into your own IRA, or open up a beneficiary IRA to start collecting Required Minimum Distributions (RMDs). For a non-spouse beneficiary, it’s a bit more complicated. When an account holder passes away, and you’re a non-spousal beneficiary, their retirement investments will need to be rolled over into a beneficiary IRA that you set up. Think of it as a holding account for your loved one’s retirement funds. From there, you’ll be required to take RMDs yourself. Come tax season, that money is taxed as income. See? Uncle Sam gets his share. You can do what you want with the RMDs. If it’s enough to take a trip to Maui, you can take a trip to Maui. If you want to open an IRA of your own, or add to an existing IRA, you can do that too. Once it’s been accounted for as your income, it’s taxed, and what remains is yours. When it’s all said and done, it’s important to keep matters of inheritance in perspective. Whether it’s a cash windfall or that button collection you played with as a kid, an inheritance is just a mote of the sum total of what a person was in life. Have you or someone you know ever been the recipient of an inheritance? Let us know in the comments below. Unfortunately, I’m not very familiar with Indonesian law. I recommend talking to a local estate planning attorney.